Sword Art Online: Hollow Realization is the fourth game of the series and a sequel to SAO: Lost Song. Based on a light novel that also spawned a very popular anime, SAO: HR takes players back to the restored Aincrad now called as Ainground. For those not familiar with the series, Aincrad is the setting of the original SAO takes place where players of the "Full Dive" VR game got trapped and death within the game resulted to death in real life. Staple characters of the series, Kirito, Asuna, Silica, Lizbeth, and many more are survivors of this literal online death trap. After the real life controversy, the game is restored as Sword Art: Origin, with many of the original game's systems and data intact but this time with extensive safety features to prevent the tragedy before from happening again. Instead of the original floating castle of Aincrad, players of this new SAO can explore a vast new world called Ainground where the series protagonist Kirito and his friends start from scratch as beta testers. Their encounter with the "blank slate NPC" they named as Premiere is equally mysterious and strange. On top of exploring the new world the game has to offer, they also embark on a quest to uncover Premiere's real identity and purpose in the game. Welcome to Supercheat's unofficial guide to this extensive . Please use the menu on the right to navigate. This is a ongoing project so content will be added regularly as I make progress in the game. 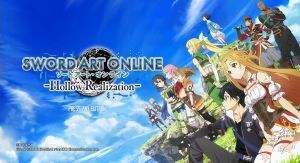 No discussions open for Sword Art Online: Hollow Realization at the moment.